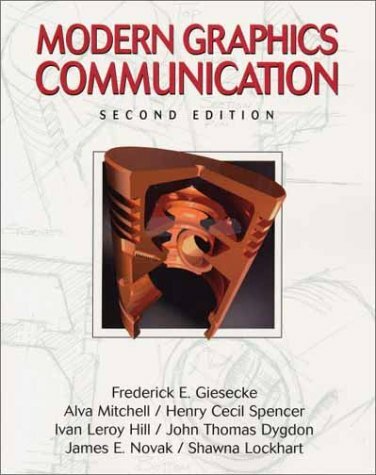 This completely rewritten adaptation of Giesecke utilizes an abundance of hands-on activities and clear step-by-step descriptions to teach users freehand sketching and visualization skills for engineering graphics. The eighth edition features reorganized, consolidated coverage of Solid Modeling, new drawing problems, and fully proofed drawings. 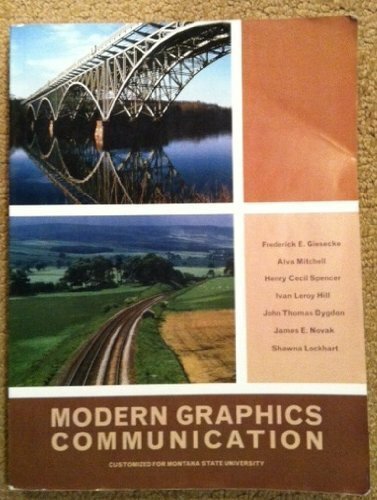 Other chapter topics include design and graphic communication, introduction to cad and solid modeling, freehand sketching and lettering techniques, geometric construction and modeling basics, multi-view sketching and projection, pictorial sketching, sectional views, dimensioning, and tolerancing, For individuals interested in the fields of technical drawing and engineering graphics. Giesecke, Frederick E.; Mitchell, Alva; Spencer, Henry C.; Dygdon, John Thomas; Novak, James E.; Hill, Ivan Leroy; Lockhart, Shawna D.
2. 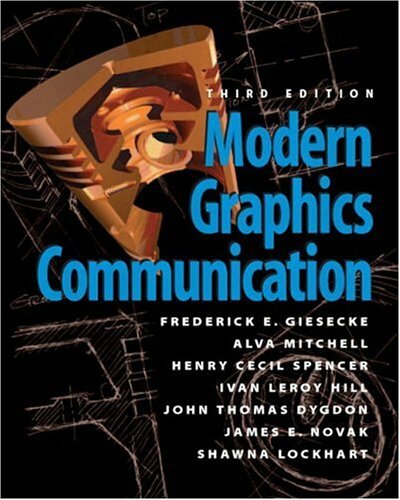 Modern Graphics Communication (3rd Edition) Giesecke, Frederick E.; Mitchell, Alva; Spencer, Henry C.; Dygdon, John Thomas; Novak, James E.; Hill, Ivan Leroy and Lockhart, Shawna D.